Loving Sai Ram and greetings from Prashanti Nilayam. This is my ninth talk (the article below is the transcript of a talk on Radiosai) in the Veda Walkthrough series, and in my previous talks, I have attempted to give a reasonable, broad-brush overview of the Vedas. In this talk, I wish to consider some matters that highlight how important and relevant the Vedas are to modern times also. In presenting my views, I shall closely follow two important leads given by Swami. Many of you, I am sure, have heard Swami say from time to time that merely by chanting the Vedas, one cannot attain Immortality and that sacrifice alone can lead to that goal. This would be the first of the two leads I shall take from Swami. The second concerns the hierarchy in Creation. As Swami puts it, the hierarchy is: the Individual, Society, Nature and finally God. The words that Swami actually uses are: Vyashti, Samashti, Srishti, and Parameshti. In short, in this talk, I shall focus on (1) how man must make sacrifice an important aspect of his life, and (2) how man must, especially in today’s world, pay careful attention to the inter-linkages in Creation. Let me start with sacrifice. No doubt I have already said something on this subject in my last talk, but I wish to add something more now. The word sacrifice as used in English has a slightly bitter flavour, because sacrifice implies giving up something that we like very much. However, there are other angles, spiritual angles to be explicit, and that is what I would like to stress. You see how nicely Swami puts it. In the Vedic context, the word sacrifice always goes hand in hand with something good and even sublime; and sacrifice always enhances purity. Thus, as Swami says, the scriptures ask you to sacrifice so that you grow in purity. OK, let us say that we have a person who, out of Love for Swami, gives up all his undesirable habits one by one. He grows in purity and is now a good man. Does sacrifice come to a stop? Not quite; it continues. Only, sacrifice is now made in a different spirit, so different that one no longer even thinks of it as sacrifice. This may sound a bit confusing and so let me add a few words of explanation. You see, in the Vedic world the word sacrifice is used in two distinct senses. The first is in terms of giving up something to which one is very attached, including bad habits. The other meaning given to the word sacrifice is OFFERING. Thus, when a person becomes good by giving up all bad habits to God, he now starts offering to God something good. He offers to God the food he has cooked, he offers poems he has written, he offers songs he has composed, and so on. In short, sacrifice becomes a non-stop process in which the devotee, swept by his love for God, keeps on making offerings to God. In the beginning, he offers bad habits. When he has run out of bad habits, he makes noble offerings to God. All offerings, both the bad habits and the noble actions, please God because they are all done with the same motive, namely to please God. God is pleased when we offer our bad habits to Him, because that is a signal that we are trying to improve ourselves. He is equally pleased when we offer our creations to Him, because that is a sign that we acknowledge our creativity to Him. I hope all this is clear! Sacrifice, the Vedic seers understood, was not an open-ended or a one-way street. Rather, it was a loop; you sacrifice for others and others then sacrifice to sustain you. Here of course, the word sacrifice is to be understood in a larger sense – not just that of giving up, but making an offering, not only in material terms but in spiritual terms. This is precisely the way in which most atheists of today would argue and I have heard such arguments in plenty. They are high sounding and very appealing to so-called intellectual minds. Often the people who make such arguments are high-profile people, and many, especially the young, tend to imitate them. The net result is that ego runs amuck; and when ego runs amuck, you can bet there would be nothing but disaster. 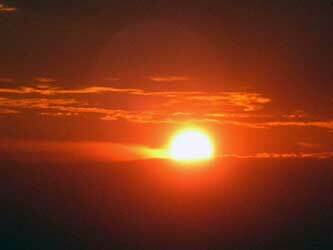 Returning to the question of the Sun, what do we offer in return? We can always offer gratitude. But do we do that? Let me now move on to the other aspect of Vedic thought, namely man’s equation with Society and Nature. Swami says that anything that man does must not harm Society, must not disturb Nature in any way, and finally must not go against God. Since God is the Creator of both the Universe and man, it follows, that man must be in harmony with both Society and Nature, both of which are parts or components of Creation. I have already commented on this point in my previous talk, but like the subject of sacrifice, this topic too needs to be underscored further. Earlier I pointed out that in the Purusha Sukhtam, Society is clearly and explicitly identified with God. I personally find this to be a remarkable identification, especially considering the fact that thousands of years ago not only was the population of the earth very small, but, in addition, there was really no worthwhile means of transport or communications that could bring different segments of the population together easily, as is possible these days. If Society is God, then it automatically follows that one should not do anything that is against the interests of Society. Supposing, for the sake of argument, one had done this in Vedic times, that is, going against God; in spite of it, the impact on Society in those days would mostly have been minimal. Nevertheless, this concern for the impact of one’s actions on Society was very much there. Taking all these points into account, I feel the Vedic view in this matter was a very far-sighted approach. With the destruction of the family perish the age-old traditions. And virtue having been lost, vice seizes the entire race. What Arjuna is implying is that when men are killed in tens of thousands, families would be left without heads, and this would cause all kinds of problems. Children would be fatherless and become undisciplined, while women may take to vice to sustain themselves. In other words, war would destabilise Society in a big way. Just look at the conflicts raging now in different parts of the world. It becomes immediately clear that what Arjuna feared is actually happening these days. But who is bothered? Wherever we turn, we not only see acts that destabilise Society, but also severely disturb Nature. Let me give some examples, starting with excessive consumerism. Excessive Consumerism - Where does it lead to? The business world is constantly compelling us through heavy advertisement to buy all sorts of things, a good many of which we do not really need. To illustrate my point, let me take the example of video games. First and foremost, video games are a huge distraction. These days when children have to study hard, video games keep many away from studies. As a result, children score low marks and that makes many things difficult for them. Next, thanks to the keeping-up-with-the-Jones syndrome, every time there is a new videogame, the parent is obliged to shell out money to keep his kids happy. As if this is not enough, the game machines themselves keep on changing with newer and newer frills added all the time, and this means more expenditure. Apart from the disturbance caused to children, few realise that disposing off the obsolete game machines is a problem. Let us say fifty million of these machines have to be disposed off. Are you aware how much beryllium, lead, mercury and such poisonous stuff get thrown out into the environment? And do you know how hazardous this job of dismantling discarded electronic equipment is? By the way, a lot of this dismantling is done in India, Vietnam and China because labour is so cheap here. Thus, the videogame machines used in and discarded by the First World, end up in the Third World for dismantling! Then again, take cars. The big companies, especially in overseas countries, want to sell lots and lots of cars in countries like India. In one sense of course this looks like a good idea – it makes transport easier, creates jobs, and so on. But look at the flip side. Firstly, every car adds to pollution. 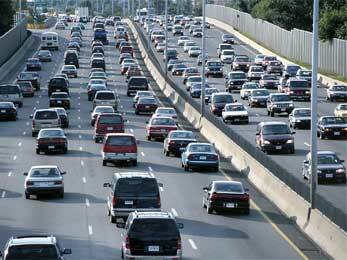 Next, thanks to our congested roads, accidents increase sharply. Of course the people selling cars would say, “Oh no, it’s not our fault, people must drive more carefully.” Those things are easily said but we must learn to live with ground realities. Thirdly, in a country like India where there is such a disparity in income, does it make sense for some to go around in a Roll Royce – yes, the Rolls has entered the Indian market again – when many don’t even have enough to eat? Is it at all decent? Is not such flaunting of wealth a vulgar display? Then there is the print media. There are so many magazines. Every magazine needs paper for printing, and paper comes from trees. They may say paper can be recycled but I don’t think we do much of recycling in countries like India. In effect, more printing means cutting more trees. Is that a good idea, especially when much of what gets printed is pure rubbish? And then there is television. My God, this TV is pure poison. How much money is wasted on worthless TV. And how much electricity is consumed by this monster. Television keeps children away from the playground, spoils their eyes, and makes them obese not merely due to lack of exercise but by driving them to consume soft drinks full of sugar and eat fatty food. 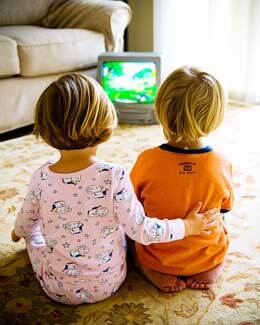 There is a strong correlation between the advent of TV and the increase in child obesity and juvenile diabetes. In all the cases mentioned above, a few people, in the name of making more profit, are taking Society for a ride. And the entire game is so cleverly marketed that people are made to think that all this is very good for them, giving them freedom to do what they please, etc. As a result of all this brain-washing, people have become so insensitive that they do not pay any attention to the social costs involved in giving free play to media, consumption, etc. Let me turn now to smoking. Smoking is promoted heavily by the tobacco industry, in spite of the fact that more than forty years ago the Surgeon General of the United States categorically went on record saying that smoking causes lung cancer and greatly promotes heart disease. In the US, this warning caused an alarm and made many give up smoking. When the markets went down in America, the big tobacco companies started targeting people in foreign countries, particularly countries like India. In fact, there is evidence now about how these companies issued secret internal memos to get the very young addicted. Recently it was discovered that the tobacco companies persuaded the film industry in India, with money of course, to show a lot of smoking scenes so that the young would start imitating what their screen heroes do. Here then is a glaring example of how, for the sake of money, a few unscrupulous people and corporations are prepared to take the whole of Society for a ride. When there is mass obesity or heavy incidence of lung cancer, leading to thousands of preventable deaths, who is it that pays for it? Society! Consider also the excessive display of violence in the cinema and TV. I remember many years ago, an American friend of mine who spent twenty-five years in India teaching physics in a college in Madurai telling me, “Do you know how many muggings, hold-ups, rapes, murders, etc., a young person in America sees from the time he or she is 5 to the age 20?” He then gave me an astounding number. Add to this all the violence that is news, like the Iraq war and so forth, and one gets a frightening picture. I mean if a person grows up seeing violence in some form or the other day in and day out, don’t tell me it is not going to have any effect on the person. Tell all this to the media people and they retort, “If you don’t like it, you can switch off the TV, can you not?” That might sound like a clever argument but the fact of the matter is that money power throws the average person into a deep gutter and tells him that he does not have to be in the gutter if he does not want to. One may score debating points but where does that leave Society? So you see, concern for Society is a must and in Vedic times this concern was built in to the way of life. I talked about marriage in an earlier talk. Marriage too was seen in Vedic times as an instrument for the sustenance of Society. The couple married not merely to have children but more so for sustaining Dharma. Responsibility versus Rights: What do the Vedas Say? In short, the Vedic norm of existence was always responsibility rather than rights. Acting with responsibility meant acting with restraint, and that in turn meant having a mechanism for checks and balance so that there was moral stability. Wise people everywhere have understood the importance of checks and balances in Society. The framers of the American Constitution understood this very well. They realised, as did the people of England, that there are three primary institutions that regulate Government. These are referred to as the three Estates. They are: the Executive Branch, the Legislature and the Judiciary. The founding fathers of America took great pains to devise all kinds of checks and balances so that no one branch or Estate could totally dominate the others. All this happened towards the end of the eighteenth century, that is, in the late seventeen hundreds. Then came the newspapers and thus was born the so-called Fourth Estate. 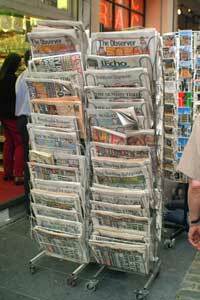 Until about seventy five years ago, the Fourth Estate meant only newspapers but today, the Fourth Estate is taken to mean the whole of the media, which includes cinema, TV, Internet and what not. The interesting thing is that while the other three Estates have mutual checks, the Fourth Estate has none – it is supposed to be self-regulatory. This is a right that the Fourth Estate has more or less seized, aided and abetted by the courts. Thus, freedom of the press has become a sacred mantra – nobody dare say anything against it. It has been elevated almost to the status of a divine right. I will not say much about this issue, which incidentally is supposed to be a very sensitive issue, but the fact of the matter is if the members of the Fourth Estate are supposed to be accountable only to themselves, then, like Shakespeare said, they must be true to their selves. Good journalists and reporters are still there, but increasingly one finds too many charlatans. What does one do in such circumstances? So the long and short of it is that often, if one falls foul with the media, then the media can literally bury that person. I am here reminded of a person who held a cabinet position in Ronald Reagan’s Administration. The press in America kicked up a big row against this person for corruption charges, etc. It was all over the front pages; this person’s reputation was totally ruined and he had to quit in ignominy. Then followed a long inquiry at the end of which this person was honourably exonerated. The Commission that inquired into the whole matter ruled that this man was the victim of character assassination. So what happened after that? Nothing. As this person said, his exoneration appeared as a small news item on the 18th page; few paid attention to it. What remained in people’s mind was the guilt pronounced by the press on the front pages. What I am driving at is the connection between freedom and accountability as well as responsibility. 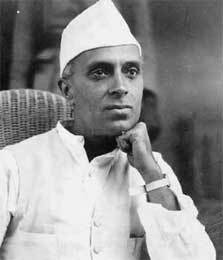 I remember in the years after India got its freedom, Jawaharlal Nehru, the first Prime Minister, often used to say, “Freedom brings responsibility.” But few paid attention to his words. The Indian Constitution has been, in many respects, influenced by the US Constitution. Thus, there is a lot of stuff about rights. However, later some elders realised that the Constitution must, in the Indian tradition, also spell out the prime responsibilities of the citizens. A Committee was then set up and it came up with a list of mandatory duties. Unfortunately, however, when the matter came up for discussion before Parliament, the members did not agree to amend the Constitution to include the duties and responsibilities of citizens. What was finally adopted was a set of recommendatory responsibilities. In other words, Parliament said, “Listen folks, we think it would be nice if you discharged the following duties but you don’t have to if you don’t feel like it.” I find this absolutely amazing, considering that the founding fathers of the Indian Constitution not only recommended Sathyameva Jayate or “Truth alone Triumphs” as the National Motto but also included the Wheel of Dharma in the flag to remind us of Dharma. I fail to understand how duties can be optional. To declare duties to be optional is, in my opinion, utter nonsense. This is where one must admire Vedic Society. It made Dharma mandatory for all; from the king to the cobbler, no one was exempt. And one became answerable to one’s conscience if one did not follow or abide by Dharma. Remember what Vedic Acharyas told their disciples when they left the Ashram? They said Sathyam Vada, Dharmam Chara, meaning: Always speak the Truth and always abide by Dharma. Incidentally, these two Vedic dictates are the motto of Swami’s University. Let me now go back to the hierarchy that I referred to earlier and say something more about it. 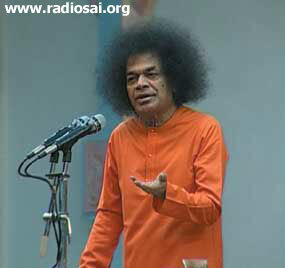 Swami says that man is a limb of Society, Society is a limb of Nature and Nature is a limb of God. This is like saying the finger is a part of the hand, the hand is a part of the forearm, the forearm is a part of the total arm which is a part of the body. Now would the finger deliberately try to harm the body? No way. That being the case, why should man, who is a limb of Society do things that harm Society, and Nature? He really should not and if he did, it would not only be an irresponsible act but also a criminal one. Here we must appreciate an important point stated by Sri Krishna in the Gita. He says in effect that the whole Universe is heavily interconnected, and every entity in some way or the other depends on other entities. Further, all entities give and all entities also receive. I have pointed all this out in one of my earlier talks. It so happens that in God’s scheme of things, all entities except man are programmed to do what they are supposed to do. Thus they receive and also give. But man is different – he can either do what he is supposed to do or refrain from doing so. In other words, man will certainly accept but duck from giving. Sri Krishna says that while man may have such freedom to do or not to do, to refrain from discharging one’s duty is a sin. Once man commits a sin, he also has to pay for it – there is no getting away with it. Somehow, these days few understand how vital the discharge of one’s duty is. Railways, airlines, hospitals, schools – all such institutions would not run if the people employed there abandoned their duties. By way of stressing this, Swami said in Delhi in March of 1999 that service does not mean sweeping the village streets but doing one’s duty properly. Today in India, it is often said that if one tax rupee is spent for public purposes, only about one tenth of it actually reaches the public – the rest of it gets wasted or swallowed on the way. This is appalling but true. People ask: “How is this happening in a land where the Avatars have repeatedly taken birth? Whatever happened to Sathya, Dharma, etc?” The answer is simple. In the name of progress, we have cleverly packaged devotion into watertight compartments. We still perform worship etc., sometimes painstakingly. We also go regularly to temples, offer token charity, and so on. We offer flowers and fruits to God. 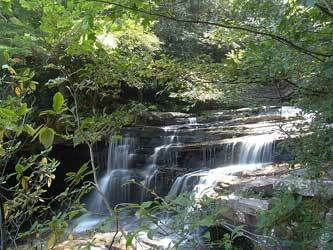 We go on pilgrimages and take dips in holy rivers. But is this what God wants? I would like you to recall a bhajan which begins with the words: Deena dukhiyon se prem karo, mera Sai prasanna hoga. Meaning, 'show love to the poor and forlorn and my Sai will be pleased'. Yes, Sai will be pleased if we see God everywhere and offer love to Him in some manner or the other. Take the Vedic attitude toward work. The musician worshipped his instruments, the carpenter worshipped his instruments. Before starting on a task, the person said reverentially, Tasmai namaha karmane, meaning, 'I offer my obeisance to work'. Work was regarded as worship and not something to be shirked. In short, people did honest work because they understood that was the way to keep Society going and they realised if Society moves smoothly then they too would benefit. It is something like the way they meticulously observe traffic rules in America. There are millions and millions of cars; but drivers stick to rules; they stay in their lanes, they signal when changing lanes and so on. They do all this because they know that by following rules they in turn will be benefited. It is the same thing about standing in queues. In India people take a different attitude. 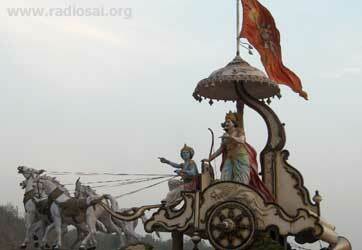 You can see it for example right in front of the Brindavan Ashram. Vehicles are all the time jockeying for positions, sometimes in such a manner that they even block the opposite lanes. People do not seem to be bothered about road rules – it always seems to be: me and my advantage. Just contrast all this with Vedic Philosophy. We often hear the chant Sahana vavatu….. what does this mean? It essentially means that let us all cooperate and do things together. This is not only an eminently practical philosophy but also the essence of spirituality. The theme of the last World Conference during Baba’s 80th Birthday was ' Unity, Purity, Divinity'. Without unity, how can there be purity and without purity what chance do we have to attain Divinity, that is, if we are at all interested in that? What I am driving at is that we should not just dismiss the Vedas summarily as something nice but not quite relevant to this day and age. On the contrary, I would say that the Vedas were actually designed for this age, though they were launched a long time ago. You do not have to take my word for it. Just reflect deeply and objectively and see what conclusion you come to. I would be most interested in hearing your thoughts. You can write to [email protected] Jai Sai Ram.